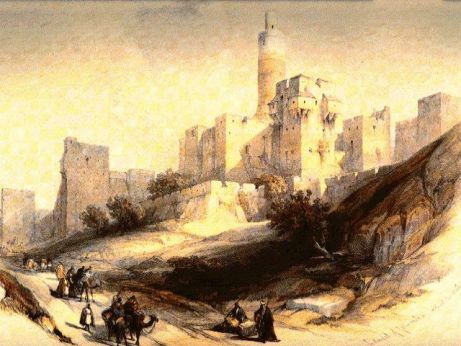 Alas, even though King Ahab was given victories by God's grace in today's readings, he goofs things up by letting King Ben-hadad of Aram go free. Then, as we get into First Kings chapter 21 today, things go from bad to worse for Ahab in terms of his relationship with God. Chapter 21 is a sad story of Naboth and his vineyard... Would it be safe to say that King Ahab was coveting Naboth's vineyard? Would Ahab be breaking a commandment in the Mosaic Law here in this image...? I couldn't quite remember why Jezebel was cast in such a bad light in our readings a few days ago. Today I remember why... It is great to see Elijah show up on the scene and say to Ahab in verse 20 - "I have come because you have sold yourself to what is evil in the LORD's sight." How sad. Do you think people today can still sell themselves to what is evil in God's sight? 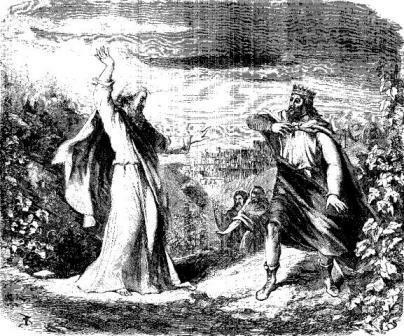 Below is an image of Elijah denouncing Ahab for the evil that transpired over Naboth's vineyard in today's readings. Bible.org's commentary on today's 1 Kings readings titled "Israel's Deliverance" is at this link and "Ahab Buys the Farm or Payday Someday" is at this link. New Testament - Wow. It is fun to read about Paul's first missionary journey! 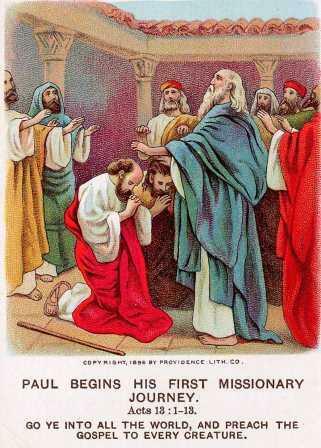 A very cool thing to note about today's readings is that Paul started his missionary journey not after an extensive planning session / retreat / etc. (all our modern day stuff of what we have to do before embarking on something...) No! Paul started his missionary journey after a time of worship & fasting and being filled with the Holy Spirit! The Spirit moved and thus Paul moved! It was that simple. Think we can learn something from this in our lives today? Are you listening to the Spirit's prompting in your life today? What is the Spirit prompting you to do? Will you do it? Check out Acts 13 verses 2 and 3 that show all it took for Paul to begin his missionary journey: "One day as these men were worshiping the Lord and fasting, the Holy Spirit said, "Dedicate Barnabas and Saul for the special work I have for them." So after more fasting and prayer, the men laid their hands on them and sent them on their way." Bible.org's commentary on today's readings in Acts titled "What a Way to Go" is at this link. Proverbs - Proverb 17 verse 16 is interesting to consider: "It is senseless to pay tuition to educate a fool who has no heart for wisdom." This is a great question for each of us to ask ourselves. Today in your life - do you have a heart for wisdom? 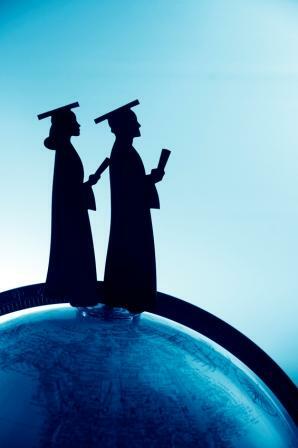 What type of "tuition" are you paying to gain wisdom / to be educated? Are you paying the "tuition" of time invested in studying the Bible each day? Are you paying the "tuition" of joining a Bible study at your church? What other types of "tuition" are you paying to gain wisdom? Will you pray to God today for a heart for wisdom? Did anyone notice the way God raised up leaders from the Antioch church? In Acts 11:19 we saw how a few of the believers broke out of their Jewish ethnocentricity to bring the gospel to the Gentiles. A wonderful work of God was done there. "the power of the Lord was upon them, and large numbers of these Gentiles believed and turned to the Lord." acts 11:20-21 But then we see how they mature through Saul and Barnabas' efforts over the period of a year. You can't microwave growth. It has to be intentional. These converts were cared for and discipled and brought to a level of maturity that we see in Acts 13. i say all this to say when we get to Acts 13 we have leaders emerging out of the Antiochian church. Already in this young faith community the gifts of prophet and teacher and apostle and teacher were being utilized. I think we can learn a lot more from these chapters in Acts then the latest church growth books. There is a reason that the church thrived in Antioch. My first group Bible Study as a Christian was Acts, but I came in on the 16th? chapter. I had read quickly through the first 15 chapters to catch up and I missed the transition in chapter 12. Bob summed it up very well in his "Conclusions" to yesterday's commentary. For those that did not get a chance, or choose not to read bob's work - enclosed are some excerpts below with a link back to yesterday's commentary. ["The first lesson to understand from our passage, and its broader context, is that this is a clear point of transition. Acts 12 is the end of one era, and chapter 13 is the beginning of another. 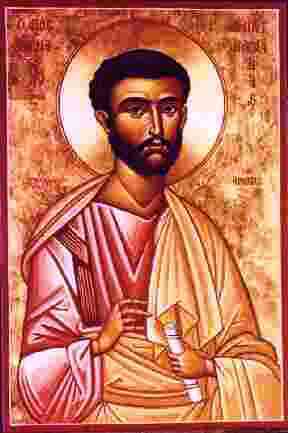 Acts 12 is the account of the passing of Peter. Not that Peter passes from the scene by virtue of his death, but he passes from the scene by virtue of his absence. Chapter 12, in large measure, is a farewell to Peter, as chapter 13 is the commencement of a strong emphasis on Paul’s ministry. But it is not merely the passing from the scene of one leader (Peter) and the rise to prominence of another (Paul). This change in personalities is but a signal, a pointer, to a much larger change—the transition from the Jews to the Gentiles, and from Jerusalem to Antioch. From here on out, the churches that are founded and that grow are predominantly Gentile in makeup. The Jewish church in Jerusalem and those saints who gathered in synagogues around the world of that day faded away, much like Peter. The reason is explained by Paul in Romans 9-11. The times of the Gentiles have begun, and the time of Israel’s hardening has come as well. Many Gentiles will be saved, but few Jews. Because of this, the church will become predominantly Gentile for centuries to come, until the return of our Lord which is yet future. Vineyard into a vegetable garden. Iain Provan makes a very interesting observation at this point. He points out that the expression “vegetable garden” occurs only one other time in the Bible, in Deuteronomy 11:10. Here, God contrasts the land of Israel with Egypt, which was like a “vegetable garden.” There, you merely had to dig a little trench with your foot to water your “vegetable garden” by means of irrigation. But the land of Israel was dependent upon God to send the rains which were required to grow any crops. Naboth’s property was a vineyard. 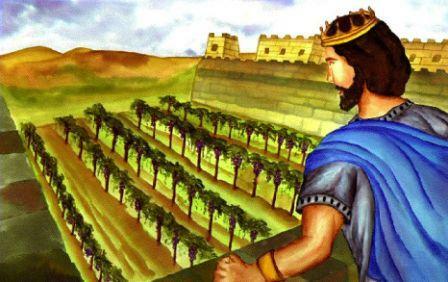 Israel was likened to God’s vineyard (cf. Isaiah 5:1-7). One does get the impression that Ahab, once again, was out of step with God. God wanted to take Israel from dwelling in a “vegetable garden” and to “plant” them where they would be His “vineyard.” Ahab wanted to acquire a “vineyard,” and turn it into a “vegetable garden.” I think Provan has something here. Iain W. Provan, 1 and 2 Kings (Peabody, Massachusetts: Hendrickson Publishers, 1995), pp. 157-158. When Ahab could not get it he sulked. He is always sullen, sulking, or pouting when he does not get his way - just like a child. No wonder Jezebel had him wrapped around her finger. Scapegoat and perhaps whole family killed. Instead of sulking at the prophecy Ahab repents, or does he? So often Paul ministers in strongholds of other gods..
Paphos: This city was known for its immorality: “Paphos was infamous for its worship of Venus, the goddess of [sexual] love” (Barclay). We will see in Paphos a familiar combination: Immorality connected with spiritual darkness. venus was said to have originated here - coming ashore on her seashell onto the beaches of the island. Bar-Jesus translated "son of Jesus." Elymas' sin is compounded by deceiving the pro-consul regarding Christ. The interesting thing to me, is the pro-consul was amazed at the teaching (Greek also translated "doctrine") about the Lord. Kind of reinforces that idea of signs and wonders being secondary. The blindness of Elymas may have got his attention, but it was Jesus' message that amazed the pro-consul and he had "faith". Going to keep track here, but it does seem that Paul often stops first in the synagogues before going "out in town". I wonder if this is to reach people like Cornelius - "God-fearing" - visitors to synagogue. Paul going to the most fertile gorund first - to establish a beachhead???? Proverbs hit home to me. My parents paid for my tuition during school. However, I came to the point where I was dropping classes left and right and then withdrawing from school -- wasting my parents money. What happened? My parents said, "If you want to go to college you will pay for it. When you finish the course and can show us your grade (it had to be a C or above) we will reimburse you for the expenses." Well, I finished my education only when I made up my mind that I was going to do it. The best thing is that because I had to work for it -- I took more ownership of the education. It goes back to Nehemiah 4:6 -- I finally had a *mind to work*. 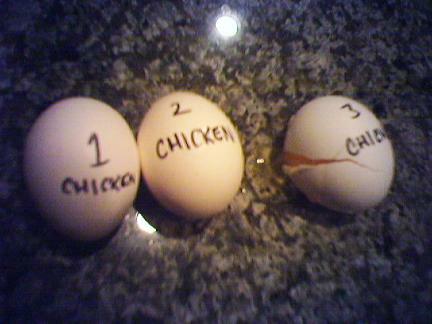 dasheth thy little ones against the stones." He was telling them what would happen." I understand the commentary But, it is still a harsh verse to swallow. I do not question God and I know that He is a merciful Lord. But, there are times in the bible when He commands Israel to totally abolish a civilization, including woman and children. You see God sees the whole scope of the matter, not just the now and here. He sees the future, past and present all at the same time. I trust and believe the reason why He sends a whole civilization to be destroyed it is to erase there evil from the land and destroy all possibility of that civilization hurting Israel, His chosen people. These civilizations were very cruel. They were pagan and the bible says they would sacrifice their children by putting them through fire. They did untold horrors. God's way our not our ways. There are things we will never understand. Only He does! So we must trust in Him and His mighty wisdom and know that He is in control of everything and He has a divine purpose for everything. He is a just God and He loves us! Today’s reading gives proof that the goodness, blessings and mercies of God fall on the just and the unjust. Ahab, an ungodly king is given godly wisdom and favor. God’s mercies reign down on him to show him for a second time that God is indeed God over all the false gods that he and his wife, Jezebel, look to for guidance and protection. Even when Ahab keeps alive Ben-hadad, whom he should have killed, even after acquiring Naboth’s Vineyard by giving his wife free reign to do as she pleases, the mercy of God (not getting what one truly deserves) the judgment called upon him by Elijah is stayed because Ahab humbles himself. However, the judgment is not really stayed only delayed until the next generation. Someone must serve our choices, our decisions because we live in a cause and effect world. If we truly care for future generations, we will temper our choices and decisions with the Wisdom of God. For better or worse, they will suffer the consequences, good or bad, of the choices we make. Opposition to the gospel when really looked at is all about money and how to gain possession of more. Paul states in his letter to Timothy (I Timothy 6:10), For the love of money is a root of all kinds of evil. Although we screw this up and say money is the root, it really is the love of money. Elymas, the sorcerer was about to loose his meal ticket so his opposition to the Gospel centered on his appetite for recognition and the wealth his status would bring him. Little did he know there are greater riches to be had. These riches are not measured by human standards but God’s standards. The God, who created all things, including the gold, silver and diamonds man seeks after, gives us Himself. He is that Pearl of Great Price. Since Jesus gave us peace then our Jerusalem is within us, in our hearts. So unlike the exiles who were captives in Babylon, no matter our circumstances, no matter our longitude or latitude we can always sing praises to our God. We are without excuse.